Aussie Salvo Big Band's Adventures: Hej Hej fran Sverige (Hello from Sweden)! 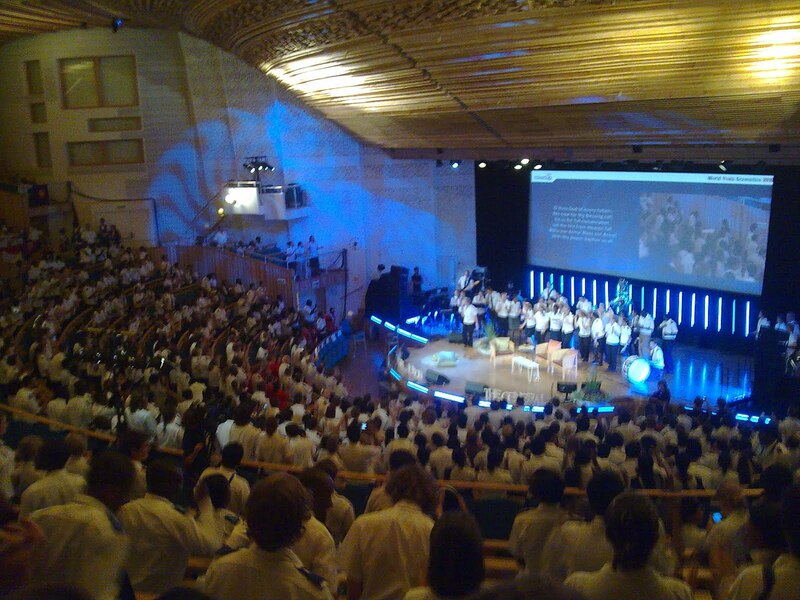 What an incredible past few days it has been here at the WYC in Stockholm. So much has happened in such little time- but it has all been truly memorable. The Big Band have done a couple of outside concerts in 'Tent Town' and we have gained a great following because of those. Some even wanted an encore at one stage- but there was a Q&A session with the General starting in a few minutes. I know where I'd rather be! Probably the most amazing experience for us though was when the we led worship on Thursday night. Personally, I've never had so much fun and never felt so empowered during a praise and worship segment. To be leading hundreds of passionate people through song was simply spectacular and a memory that I will certainly take to my grave. We to were received really well and numerous people came up to us afterwards and asked when we were going to play next. In fact two blonde girls from Sweden have officially become out biggest fans- but don't ask me to repeat their names! What has been the most overwhelming thing here in Stockholm has been the positive vibe around the convention. Everyone is happy to be here, everyone wants to make friends and everyone is there for the same purpose. 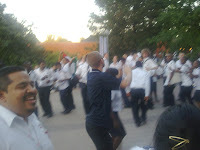 The Big Band is fitting in really well with the other delegates. We have mixed with Salvationists from all around the world and it makes you realise how big our movement is! We have a great bond especially with the 'Jesus Gang'- a group of fit and attractive Brazilian boys who put our dancing to real shame. We are getting in amongst all the cultural dancing too. Whether it's with the Indians, Brazilians or even the folk from Ghana, everyone is more than happy for us to join in and dance the night away- even though we look like total tools. But it's all in good fun! The days are long though. We leave the hotel at around 7.30 in the morning and return home at 11.30 at night. So by the time we all arrive back at the hotel, everyone just wants to sleep because we're all stuffed! Tomorrow, we head out to the city squares in Stockholm for some outside concerts. We have a big 40 minute set, so hopefully we will get a good crowd and give our Territory a good name. I really must get some sleep now though. It's 12.30am and we all have to leave the hotel by 7.30 tomorrow morning. Remember you can follow us on Facebook as well- there are heaps more photos for you to look at. You can also watch replays of some of our playing at the offical Raised Up website! Tack for lasning! Hej da!